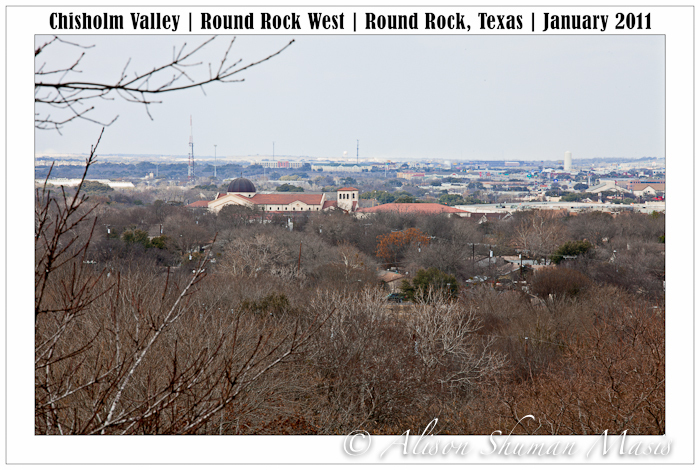 Chisholm Valley West, Old West Addition, Chisholm Valley South and Westwind are subdivisions in Round Rock 78681 bordered on the North by McNeil Drive, the East by I-35, the South by Hesters Crossing and the West by County Road 172. This little neighborhood is wedged between the rail road tracks that run along McNeil and the popular La Frontera shopping area. 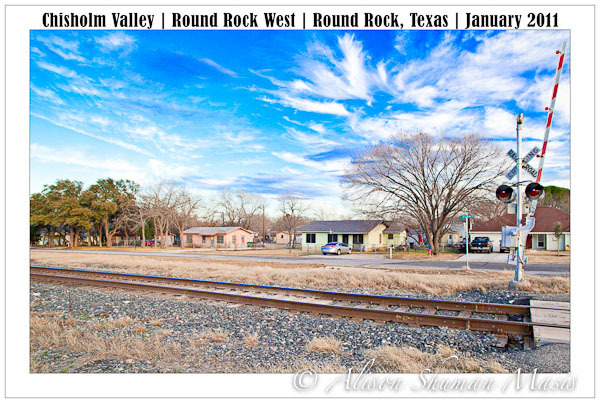 Chisholm Valley residents enjoy easy access to Texas 45 (the Toll Road) and I-35 are part of the acclaimed Round Rock ISD. 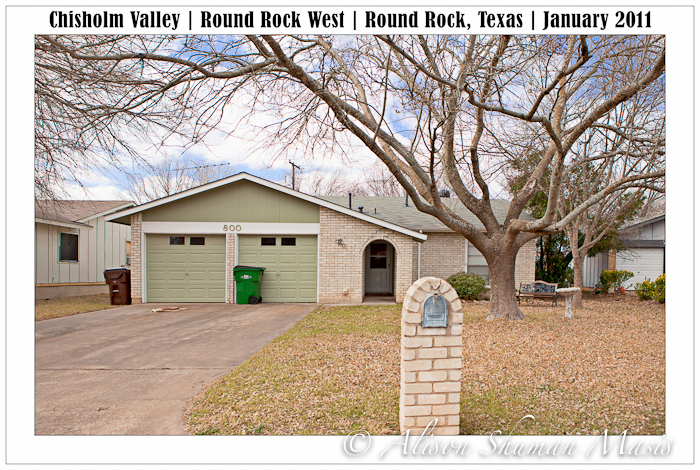 Most of the homes in this area are older than the typical subdivision home in Round Rock, and are part of the Round Rock West (RRW) area in the local real estate MLS maintained by the Austin Board of Realtors (ABoR), aka ACTRIS. 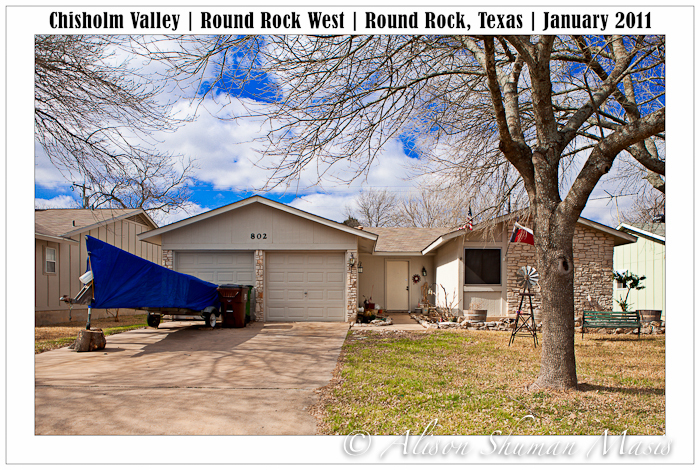 The typical lot is about 8000 square feet (.18 acre) and a typical home is under 1,300 square feet. 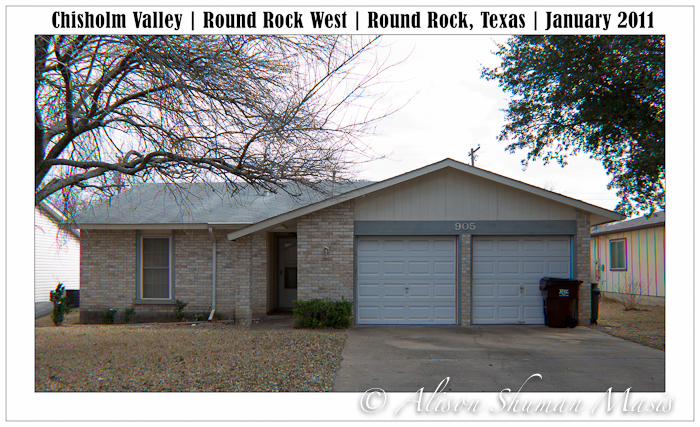 Most of the homes were built in the 1970s and 1980s but some have been built more recently. 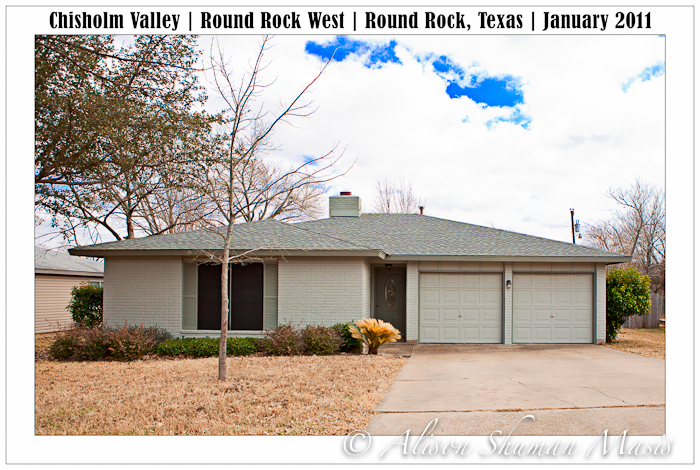 As of March 3rd, 2011, Seven (7) homes are for sale in the Chisholm Valley Area, ranging from $91,000 for a 3 bedroom 2 bathroom home with 984 square feet that was built in 19080 to $136,000 for a 3 bedroom 2 bathroom home with 1,350 square feet built in 1977. 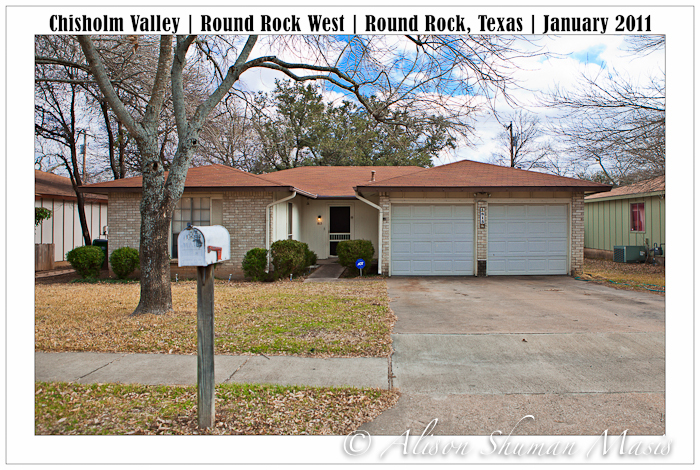 2 of the current homes listed for sale are foreclosures. 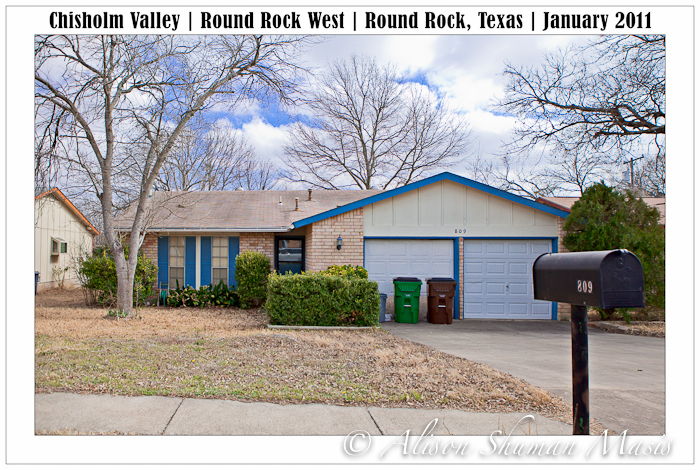 6 of the 22 homes that sold in this area in 2009 were foreclosures, an increase from 0 in 2009. 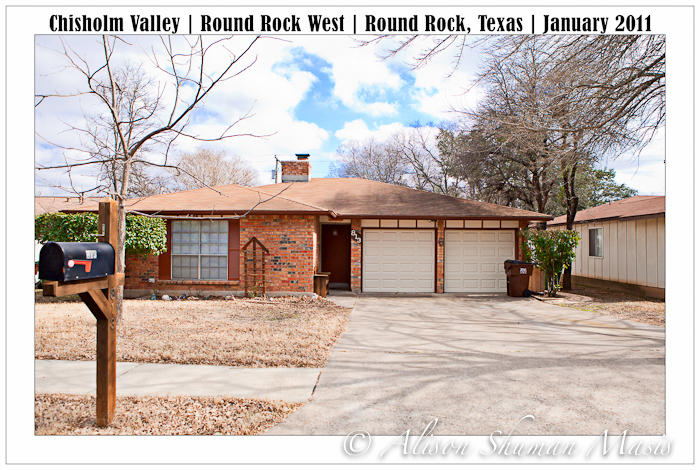 Selling prices ranged from $71,151 for a 1,445 square foot home in need of significant repairs to $130,000 for a 1,436 square foot home built in 1984 that backed to Frontier Park. 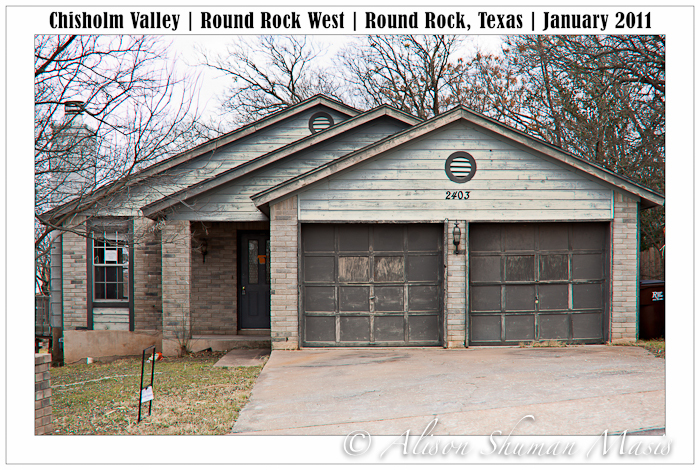 The median sales price in 2009 for a home in the Chisholm Valley area was $113,250. The median size of the homes that sold was 1,337 square feet, almost identical to 2009. The median days on the market (DOM) was 45 and the median selling price per square foot was $80.67. None of the 24 homes that sold in this area in 2009 were foreclosures. 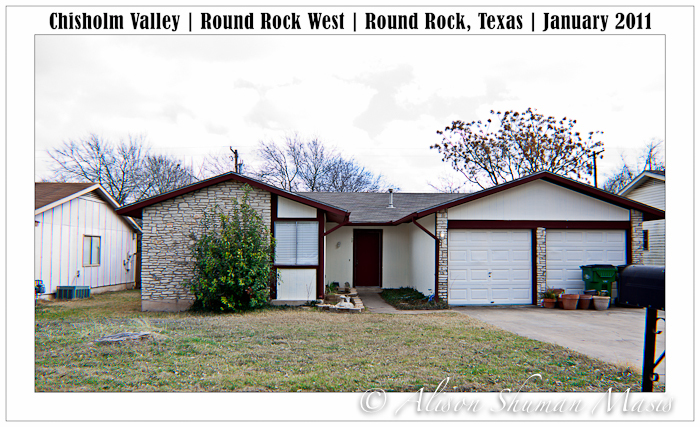 Selling prices ranged from $66,000 for a 1,799 square foot home with a cracked foundation to $146,000 for a 1,756 square foot home built in 2008 that backed to commercial property. 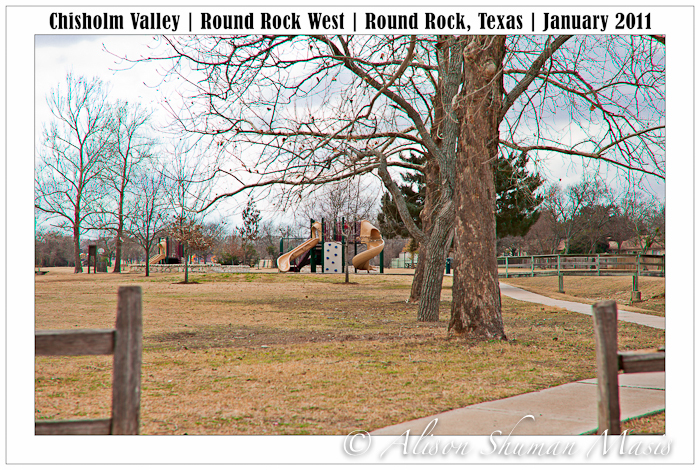 The median sales price in 2009 for a home in the Chisholm Valley area was $110,000. The median size of the homes that sold was 1,339 square feet. The median days on the market (DOM) was 30 and the median selling price per square foot was $82.36. One thing we noticed while driving around this are was that several of homes had boats parked in the driveway. 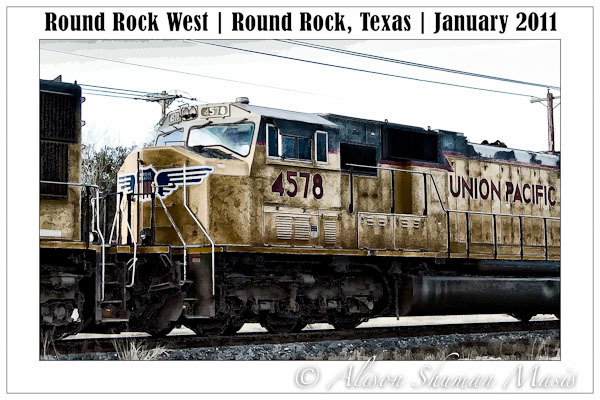 Yes, this is the actual train that zipped by as we were driving around the Chisholm Valley area. It has been turned into digital art.